One of my life-long loves is that of books. 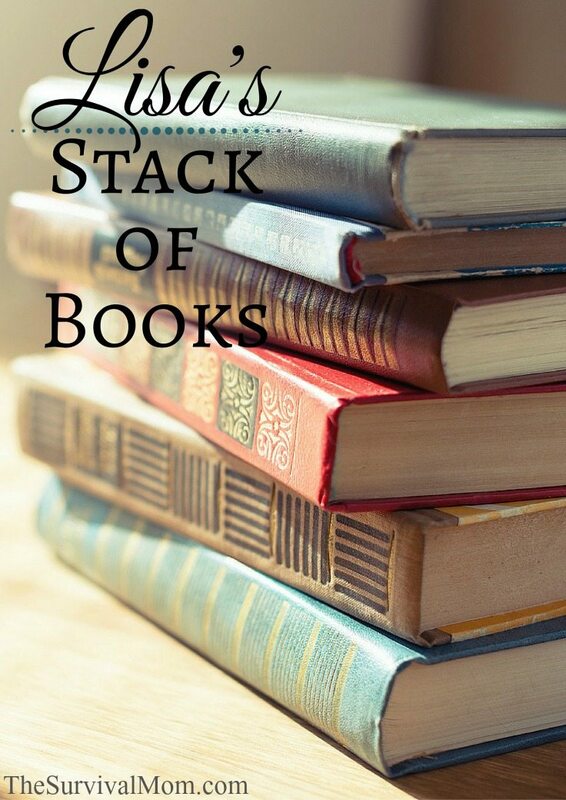 Amazon Prime and I are best of friends, and I have an enormous stack of books, most of them unread. When I was younger, an unread book was an item of shame! Today, I chalk it up to being a busy mom whose love for books outweighs the time she has for reading. I hope you enjoy reading about the following books from authors Linda Loosli, Bernie Carr, Melissa K. Norris, and Toni Hammersley. 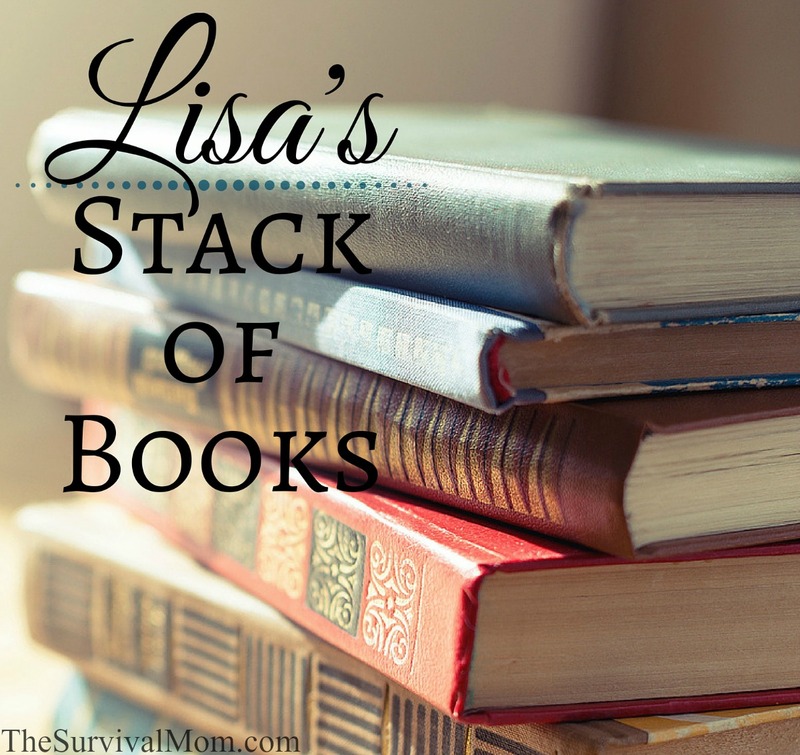 I selected these books because they represent different aspects of preparedness: basic survival, frugal prepping, organization, and homesteading/spiritual encouragement. If you read any of these books, give me your own review in the Comments section! Note that after each book review, you get a chance to win your own copy of the book! Each book has it’s own entry, so make sure you don’t miss any of them if you hope to win all four. I would love to live Toni Hammersley’s life, or at least the one portrayed in this stunning, colorful book. Perhaps a better idea would be to have her come to my house and re-create it with all the savvy and style she exhibits in her new book. 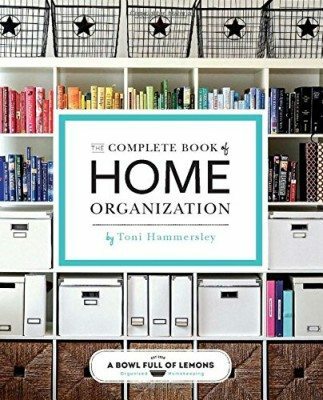 The Complete Book of Home Organization is a gorgeous book, just the type that catches your eye at a bookstore and finds its way to the cash register and your Visa card! My daughter, age 16, is the primary promoter of organization in our household, and her eyes lit up when I handed her this book. We both settled down to enjoy the glossy photos of kitchens, closets, bedrooms, and even refrigerators, and the quick suggestions for transforming our own home into one of calm and clutter-free order. Toni’s practical and simple tips for organizing even the smallest spaces in your home are easy to follow, without the necessity of having to make expensive purchases at The Container Store. One of my favorite features of the book are the Before and After photos from other home decor and organization bloggers. It’s inspiring to know that I can take a cluttered area of my house and transform it, too. I also appreciated the organization challenges and checklists. If your home is in need of some organization, this book will inspire and motivate you to action! I’ve been friends with Melissa K. Norris of Pioneer Living Today for three years. 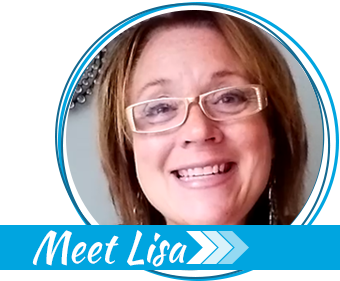 Melissa was a very successful host on The Survival Mom Radio Network, and her listeners loved her homesteading tales and words of encouragement. Last month when I opened my mail and held this beautiful new book in my hands, it was an emotional moment. I was so proud of Melissa and her accomplishments. She always talks from the heart and shares the ups and downs of her own life as a modern-day homesteader. 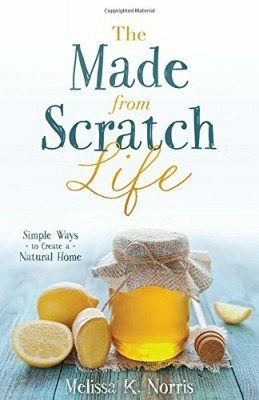 The Made-from-Scratch Life is a book that prescribes living a simple life, moving from store-bought products to healthy and homemade versions and provides practical tips for gardening, canning, raising livestock, and preparing for tough financial times. Along with plenty of homey advice, Melissa includes some of the simplest and most delicious recipes you’ll find. Her ham and bean soup with parsnips is one of my favorites. Melissa shares stories of how she learned to make the transition to a simpler life herself, with plenty of mistakes along the way. She shares Bible verses, inspiring quotes, recipes, a planting chart, and plenty of recipes. She’s convinced that a simple, back-to-basics life is soothing to the soul and this guide is her way of walking side by side with you as you, too, take the road less traveled to a made-from-scratch life. When you purchase Melissa’s book, not only do you get all of this helpful information, but she also gives you some special bonuses as a thank you. The Made-From-Scratch Life Companion Guide and Workbook, the 5 Day Made-From-Scratch Life Bonus Fast Track e-course and The Amish Canning Cookbook Sampler by Georgia Varozza will help make your transition to a simpler life, well, simpler. If you’ve been a prepper for very long, you know the overwhelming feeling that comes with being faced with long lists of expensive survival gear the experts claim you must have: Berkey water filters, a year’s worth of freeze-dried food, a hidden bunker, and on and on and on. Few of us can afford top of the line gear, but that doesn’t mean we don’t have a chance to survive! 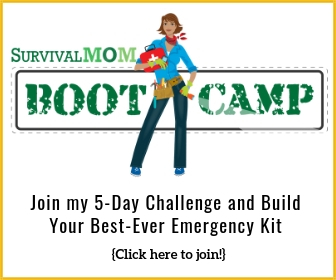 Author of The Prepper’s Pocket Guide and blogger at The Apartment Prepper, Bernie Carr rejects the notion that only the rich will survive and in The Penny-Pinching Prepper, she shares hundreds of tips for preparing, and surviving, on a small budget. You’ll love the compact size of her new book, its handy lists, and simple, budget-friendly DIY projects, such as an Easy Fireless Cooker. 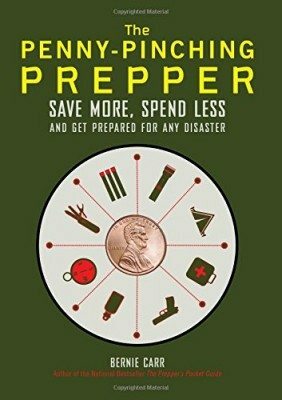 From her advice for raising money for the purpose of prepping to hygiene, evacuations, safety tips, and even recipes, this book is packed with information for preppers who don’t have a dime to spare and even those with piles of cash in their stash! In the hyped-up world of survival and preparedness, it’s always refreshing to find a sane, calm voice that says, “Ignore the loud, scary voices. Here’s what you need to do…” That voice would be Linda Loosli of Food Storage Moms fame. 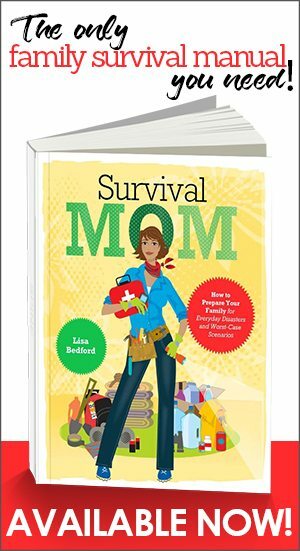 In her new book, Prepare Your Family for Survival, Linda did not disappoint. Her book is a large, colorful volume, filled with illustrations, checklists, and attractive graphics that made reading it a pleasure. 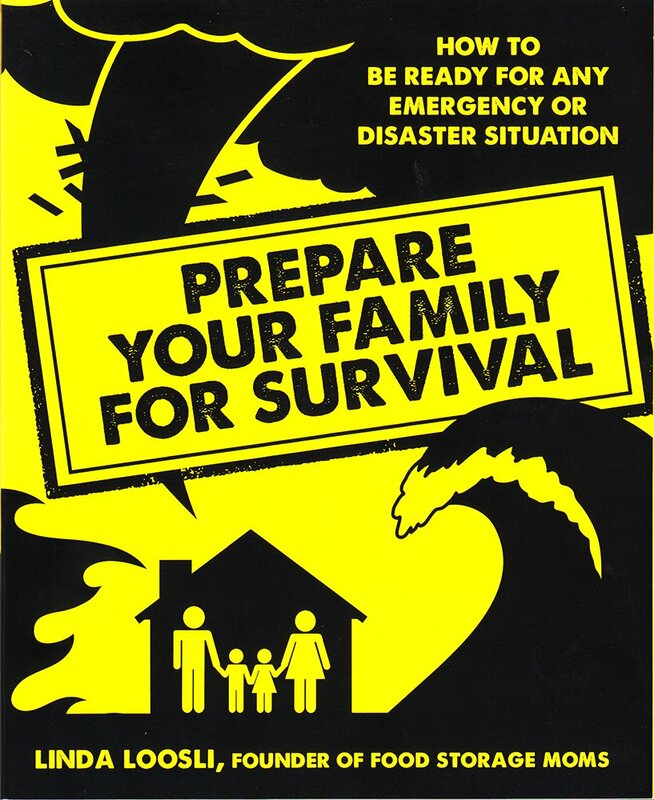 This is one of the best all-around family preparedness manuals to hit the market in a while. Disaster preparedness is a huge topic and Linda has managed to break it into do-able chunks in an eye-catching design that makes the book hard to put down. I’m so proud of Linda and all the work she put into making this book practical and family-friendly. One feature that I haven’t seen in similar books are her lists for health remedies using apple cider vinegar, coconut oil, Epsom salts, rubbing alcohol, and hydrogen peroxide. 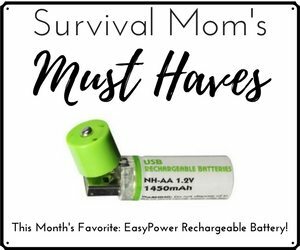 Too often we see these listed as must-haves, but when you have a real emergency on your hands, you’ll need to know exactly how to put the to use. This book belongs on your survival bookshelf! Congratulations to these four authors for their vision, perseverance, and plain old hard work in producing these books. I’ll have another set of book reviews and giveaways coming up in May. I love the look and description of the Lisa Loosli Family Survival book. Thank you for doing a giveaway of your favorites! Sorry, I was excited about the book, I forgot to write that my most important prep is probably the water filters and methods of purifying water. I agree with you Heather. Without water you pretty much can’t do anything else, right? Water filter and a warm fleece blanket or jacket to help stay warm with. I think that the most important prep items are water filters and back up ways to purify water. My most important item is my multitool. With it I can make or get most of the other things I would need. Most important prep item is a water filter. Most important perp info may be where to find water if you haven’t stored enough. My first thought about my most important prep item was our Berkeys but I’ve changed it to head knowledge. I wasn’t looking at the big picture and focusing on tiny items I needed but I realized I needed a large bug out bag for my prep items. I finally got one and it’s made me start organizing more. That was an important item I needed since my smaller bags were so inadequate. Ways to purify water for sure and ways to start a fire. A way to heat and cook our winters are long and hard at times. I am on an island and think I could let water prep slid a tad its the Niagara River after all but I could be fooling myself. My number one concern is sickness or injuries during an emergency so hydrogen peroxide, bandages, antiseptic oils, creams, and rubs are mine. Water is my most important prep along with methods to purify what I have stored. Essential for me, at this time, is the means to store and purify water. This give away is a cool idea. And a chance to add interesting books that I have been meaning to get but haven’t gotten around to. First is food. Second is more food. When you think you have enough food, buy some more. My number one item is some high quality needles, thread and safety pins (DO NOT buy them at the dollar store–they will bend or break and you will be sad!). The WILL to survive. Ok so it’s not an actual item but without it first, nothing else will help you survive. My most important prepping item is serenity. When you start to panic, none of your preps will help you at all. Stay calm, keep your head, and think, BEFORE you do anything else! I would have a water filter. I think water filters for sure! And a generous supply of water for at least two weeks! This book so that I can get more prepared. My 13 year old son has just started his own collection of survival and prep books. I would love to add to his collection. Hmmm just one item! Well I am torn between my knife and my bucket opener! My #1 priority is water filtration. Thanks for the chance to win! I suppose my single most important item is a quality edged tool. Mine is also Filters for water purification and the barrels to hold it. For me, it’s having enough water while backpacking almost 20 miles to my bowtshtf, which has natural spring water. It would be nice to drive, but if that’s not the best option, I have to be prepared to hoof it. Which reminds me, I need to add a pair of snake boots to my list. My most important prep is my family. Getting them involved has given me a whole team to work with and a wealth of resources. Prepping would not mean anything to me without them.